I have partnered with Panera Bread to introduce to you their new line of salads and dressings. I am happy to find out that Panera, which serves millions of guests each week, will remove artificial colors, sweeteners, flavors and preservatives from their food menu by the end of 2016. To serve with any of Panera’s salads I have created this amazing grilled cheese sandwich with sundried tomatoes, pesto and spinach. A great sandwich that can be served with either their Classic Salad, Caesar Salad or one of my favorites, their Strawberry Poppyseed & Chicken Salad. I love to eat colorfully The brighter the better and this Strawberry Poppyseed & Chicken Salad, at just 350 calories, is the great complement to any protein packed grilled cheese. 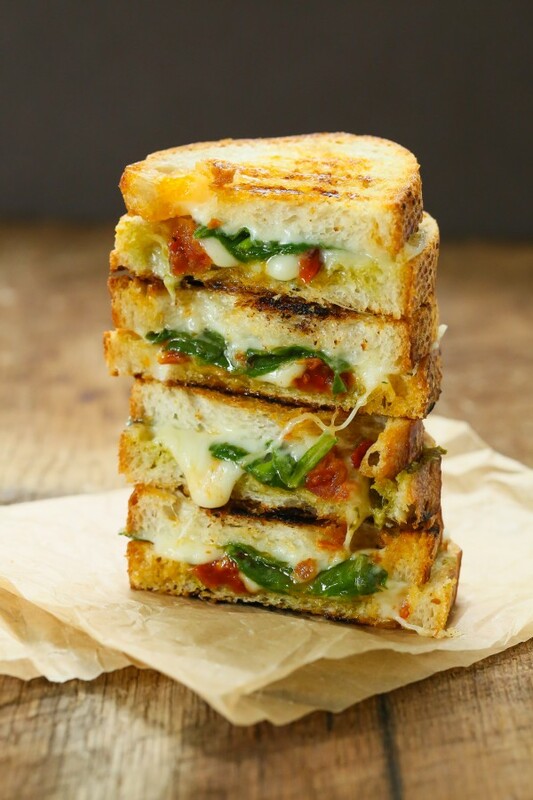 For this grilled cheese sandwich I used a mixture of pesto sauce, sun dried tomatoes and fresh spinach. 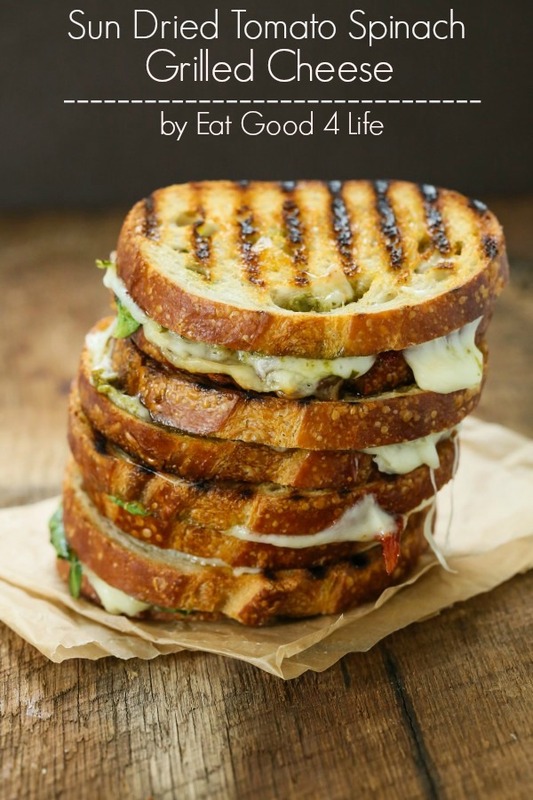 You can use any cheese of your choice but in my case, provolone is my favorite cheese to use when making grilled cheese sandwiches. It melts easily and tastes great. I also used Panera’s sourdough bread that is artisan bread baked fresh every day. I normally have to buy two loaves, as my family always requests two sandwiches when making grilled cheese sandwiches and I never have enough with just one loaf. Plus having leftovers is also great! To order any of their products and learn more about Panera you can visit this link. My philosophy of following a healthy lifestyle is composed of eating the highest quality ingredients, striving to incorporate exercise whenever possible, at least 2-3 times per week and getting enough sleep. Something that many of us forget. 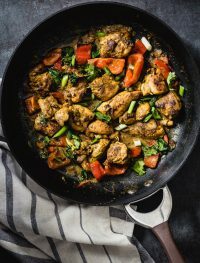 Clean eating doesn’t have to be difficult, expensive or complicated. A little bit of planning and effort will go a long way. I know Panera strives to make good food. 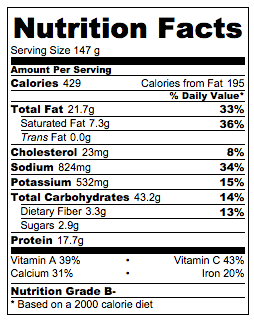 Not only food you crave, but food that’s good for you. Food that will make the rest of you feel as good as your taste buds. It comes from a good place, and is made with seasonal, clean ingredients. Panera wants their guests to revel in the joy of good eating and to share the experience of good food. 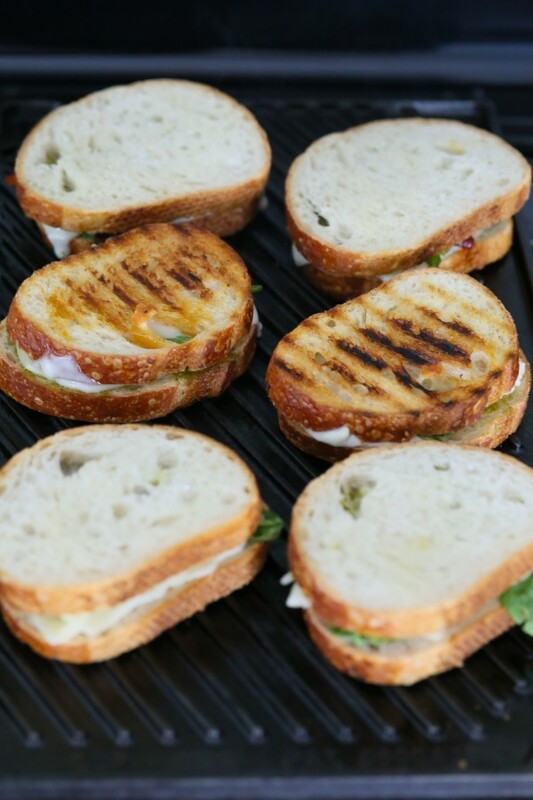 If you don’t have a grilled pan you can make the sandwiches in any pan you may have. The grilled marks won’t be there but the sandwich will be as good. 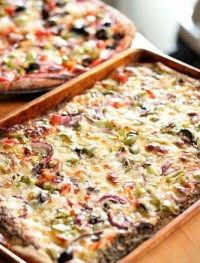 You can also use any other greens of your choice, arugula and kale also works great. Heat a grilled/griddle skillet over medium heat. Divide the olive oil over the outside of each slice of bread. 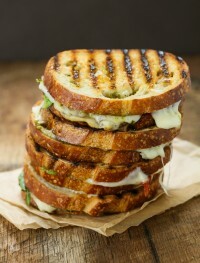 Spread the pesto sauce over the inside of four slices of bread. 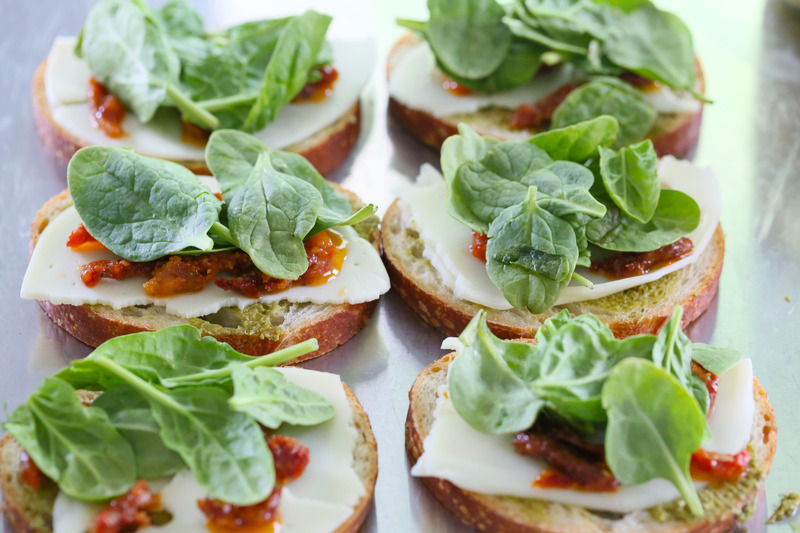 Place half a slice on the provolone cheese on four pieces of bread followed by the sun dried tomatoes and fresh spinach. 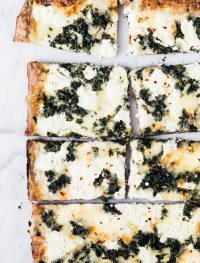 Place the other half of provolone cheese slice on top of the spinach and top with the other slice of bread. Add the sandwiches to the grill pan and grill until golden brown and the cheese is starting to melt, about 2-4 minutes on each side. Serve them while they are still warm.